2. R.P.M: 0-850 , B.P.M 0-8500, 1 or 3 hour charge time. 3. Max torque: 120 kg-cm. 1. 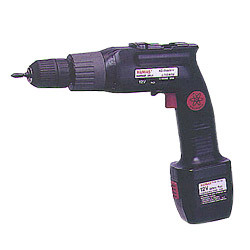 12v hammer drill/driver. 2. R.P.M: 0-850 , B.P.M 0-8500, 1 or 3 hour charge time. 3. Max torque: 120 kg-cm. 4. Adjustable torque control. 5. Variable speed switch.